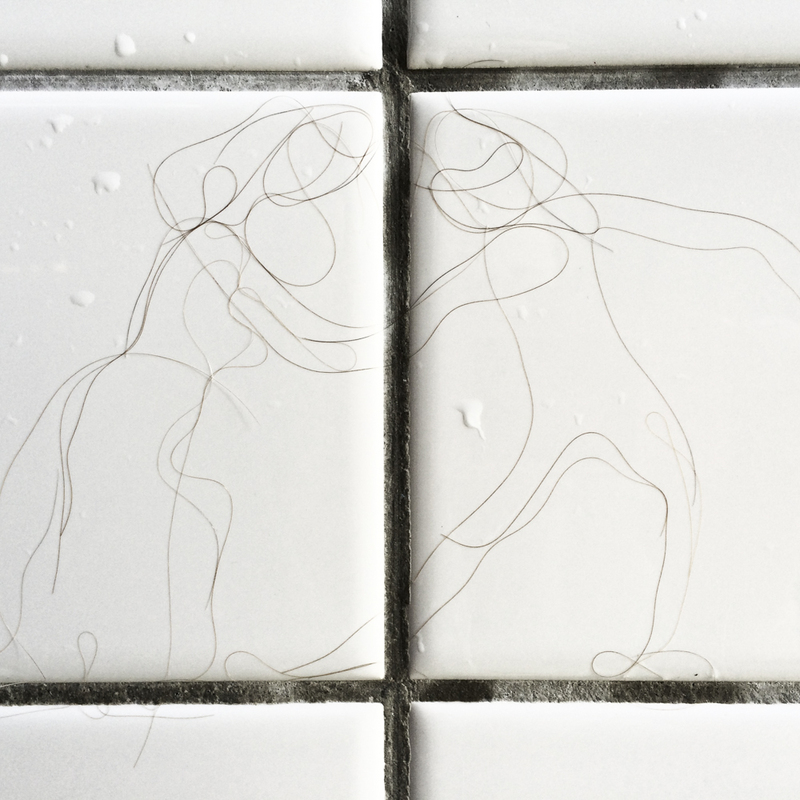 Photographs of my wet hair on the shower wall, shaped into various figures. Edition 15: 59,4 x 84 cm & 29,7 x 42 cm, pigment ink print on Rag Baryta paper. Edition 25: 24 x 24 cm, pigment ink print on Epson Semigloss paper. 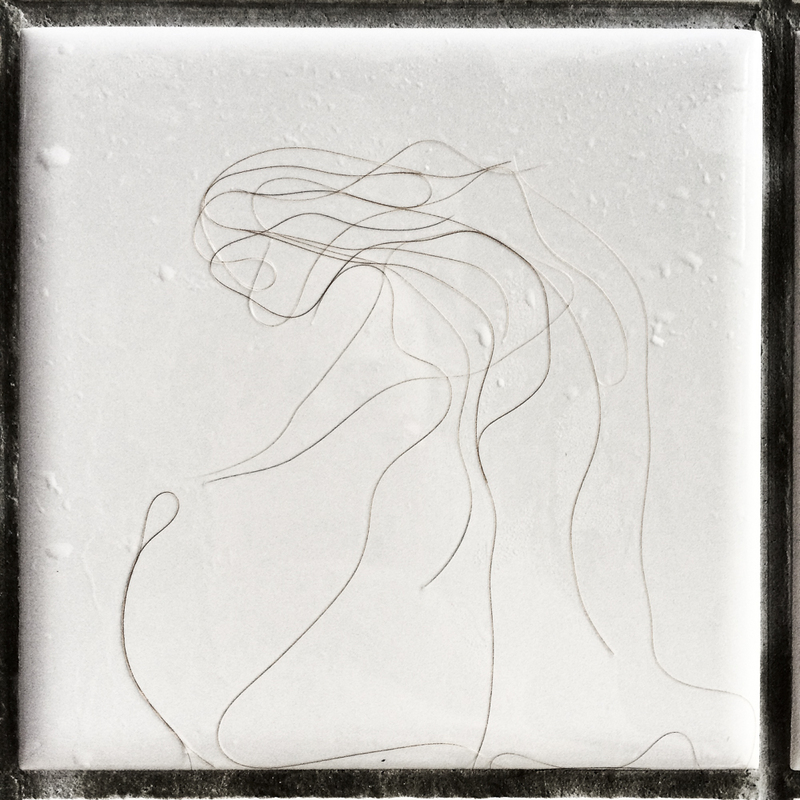 Two hair drawing artbooks were created with Malene Lerager of Co'libri Bookbindery, April 2018. 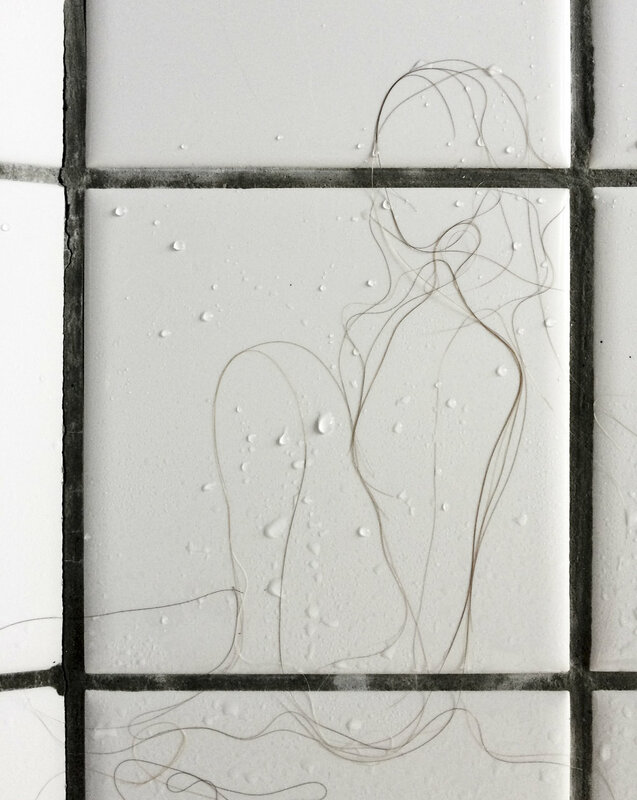 The books contain 33 hair drawings printed on Scandia 2000 130g paper, bound with my hair and original tiles from my bathroom, including a unique hair drawing glued onto the front tile. The book won the Danish Bookdesign price for best handbound book and was exhibited at The Black Diamond june-august 2018 and at BogForum oct 26-28th 2018. Edition 20, March 2019: Second series of artbooks, containing 62 hair drawings, bound by Co’Libri.